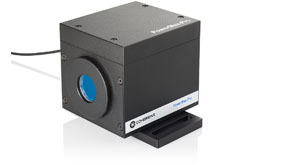 江苏新11选五开奖结果 www.mgnr.net Kilowatt class power measurement with extended average power handling capability up to 3 kW with a 30 microsecond rise time and utilizing the same transverse thermoelectric thin-film HD sensor technology as our standard PowerMax-Pro sensor. 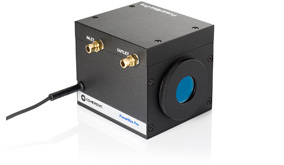 PowerMax-Pro (Patent #9,059,346) represents a dramatic technological advancement in laser power sensing that combines the dynamic range and laser damage resistance of a thermopile with the response speed of a semiconductor photodiode. 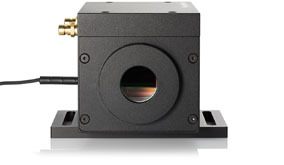 The sensor is so fast that a kW laser measurement reaches steady state in less than 100 microseconds with no overshoot. 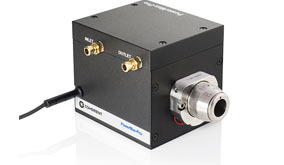 This capability provides nearly instantaneous high power measurement. 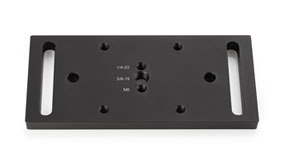 In traditional kW thermopile detectors, heat is generated in the absorbing coating when it is struck by the laser. The heat must then move through the thick copper substrate out to the edges, a distance of several centimeters, to where the thermocouple array is located. This heat flow takes time, which is why thermopiles take a minute or longer to steady out after the laser is turned on. 1 See power handling curve for beam size requirements. 2 Wavelengths typical; model dependent. 3 1 gpm water flow with less than 10 PSI back pressure.